The Walkabout tool turns walking into a fast track for success! Again and again clients have asked us whether they could listen to Paraliminals while walking or exercising to which Paul Scheele and I have always said, "Yes… BUT you'll get much better results when your body is not causing resistance, when you are resting peaceably, and when you are closing out external stimuli." That has been the best way to direct your inner mind to help resolve problems and support your goals. Just push play, close your eyes, and allow the Paraliminal to do its thing. you can build a powerful body/mind connection! David led Paul through aspects of Kinetic Sequencing, which is the process of guiding various parts of the body through small but precise motions. This activates the neuro-muscular system by triggering the brain to observe and correct nervous system errors, thereby enhancing body and brain functions. By simply walking in a certain manner and following a specific breathing pattern, you achieve an ideal state for learning. Paul instantly saw that by combining aspects of Kinetic Sequencing and the Paraliminal technology, clients could finally get the same Paraliminal benefits during any walk—whether through the park, around the block, on the treadmill, or even at the mall. Paraliminal Power. When you listen to a Walkabout you'll be able to use the power of Paraliminals to resolve problems and make noticeable progress toward your goals. You'll be able to tap into Paul Scheele's vast expertise in neuro-linguistic programming (NLP), accelerated learning, and preconscious processing to help with your own dreams, hopes, and goals. Body Awareness. With the Walkabout program you will become aware of how your body is functioning, what is in sync and what needs correction. You will explore proper breathing and specific ways for holding your shoulders, swinging your arms, using your hips, and stepping onto the ground with various parts of your feet. You will find your walking movements will change in every area of your life including going to the grocery store, catching a plane, walking down the aisle at church or in a theater, and carrying laundry. Health benefits will follow you anywhere! In the Walkabout Zone you synchronize or "calibrate" your breathing, brain function, and use of your body. This means during any walk, even when not listening to a Walkabout, you can access the deep resources of your inner mind for many reasons including: learning anything such as a foreign language; making plans—whether for a trip, new project, or a huge celebration; finding solutions to a vexing problem; planning your new novel; or figuring out what you want to do for the rest of your life. But it is much more than just a super-learning tool! The Walkabout Zone has tremendous health benefits, too. Walking is one of the best, most basic health elevating forms of exercise known. It is super natural, super easy, and now with the Walkabout course, it can become supercharged. When using a Walkabout you automatically improve the overall healthy functioning of your entire body. This gives you great efficiency and ease of movement throughout your body while walking in an exceedingly fluid way. People find they can sleep better. Athletes show improvements in their physical and mental performance in sports such as baseball, track and field, and golf. "One example is a university golf team, ranked 37th in the nation, that won the National Conference championship shortly after I worked with all seven members of the team," said David. "The coach attributed their victory in large part to the improvement in play concentration that resulted from this calibration work." Before you is an open horizon, a panorama of positive possibilities attracting abundance and prosperity into every area of your life. Live with decreased stress, improved health, less pain, greater fitness, better movement, greater oxygenation, healthy blood flow, joint lubrication, better sleep, and more. Reduce mental and emotional stress, eliminate barriers, bring on clear thinking, faster learning, and effective problem solving, and become your own brainstorming partner. Turn your walk into a walking meditation. Let go of the past, leave the future to the future, calm your mind, become aware of your purpose, balance your energy, find peace in your heart, let go of the story, and enjoy every moment of your life. Listen to the first CD (or audio set if you get the digital downloads). This will get you ready for your first Walkabout training session. Listen to the second CD, which is your training session to get into the Walkabout Zone. It will take 30 minutes. You'll want to do it once a day for up to a week. This helps you engage every muscle group and nearly every joint of your body, synchronizing breathing and walking for a complete health and wellness improvement. Take a walk while listening to your first Walkabout! Your Walkabout program is ready for you right now. You can order the program as CDs that we will ship to your home or you can order digital downloads that you can access immediately. If you order digital downloads, you will be able to access all your Walkabout sessions through your online digital library. After you place your order, simply click on the "My Library" link at the top right of our home page. 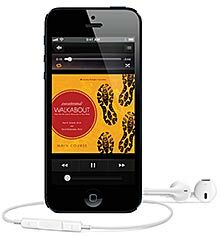 All of the "audio sets" will be ready to stream or download to your mobile devices such as mp3 players and phones so that you can take your Walkabout on your next walk hassle-free. You will always have access to your online Library, so if you lose your device we have you covered. Your order comes with a 30-day money-back satisfaction guarantee. And if you ever have questions, just call or email us. We'll happily coach you to help you get the results you want at no charge. We'll do everything we can to help you get maximum benefit from your Walkabout. Hip, hip hooray for scientific breakthroughs! I vividly remember the moment back in 1988 when Paul Scheele and I decided to create the very first Paraliminal, which we called the New Behavior Generator. It involved an unusual recording approach: one voice in one ear speaking to one part of the brain with another voice in the other ear speaking to a different part of the brain. Unusual, yes, but pleasurable and effective. Little did we know that it would change the direction of Learning Strategies forever, and change the lives of millions. Now we're at it again! I love the Walkabouts. I carry them on my phone so I can benefit anytime I am out for a walk. Please write us with your experiences. We can't wait to hear from you.